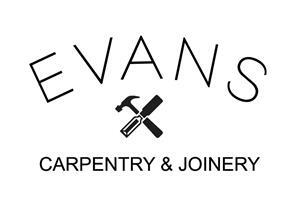 Evans Carpentry & Joinery & Building - Builder, Carpenter based in Sunderland, Tyne and Wear. My company Evans Carpentry and Joinery and Building has been established since 2016. Overall I have 13 years experience in the trade with a vast amout of knowledge of fitting Door Frames,Doors,Architraves ,Skirting boards,Staircases , Banisters, Joists , Weyroc (chipboard flooring) ,Studwork ,Pipe Boxens,Timber Facias and Soffits,UPVC windows and doors,UPVC Facias and Soffits, Timber and Plastic Cladding ,Laminate and Hardwood flooring and Kitchens. I have a Joiner who works alongside me and my father inlaw who is also a Bricklayer and there experience and knowledge combined is over 60 years. We work together as a team on larger projects such as Loft Conversions, 1st and 2nd floor Extentions ,Porches,Sun rooms, Garage Conversions ,Barn conversions ,full Refurbs and Restorations. We offer a Proffesional, Friendly and Reliable Service.